The Spirit of the Lord, through our brother minister, Deacon Evangelist Efraín Bojorquez; brought to us a word of spiritual blessing for our souls. 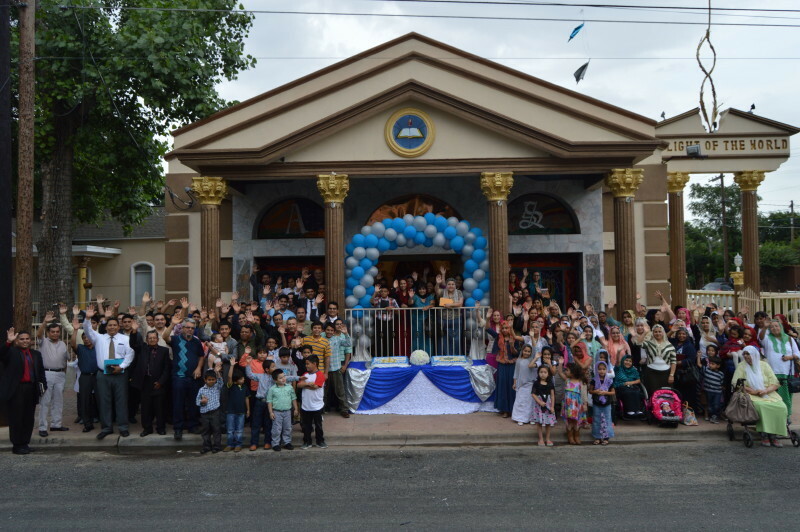 Our brother Efraín invited the church of Austin to prepare ourselves in a spiritual manner. We must prepare our souls for the upcoming events that are close in proximity. Events such as the revivals which require a spiritual preparation from each of us and also the upcoming sacred feast, which is the greatest of feasts in all the land; The Holy Supper. Our preparation is spiritual, to prepare ourselves is to sanctify ourselves and seek spiritual cleansing. In these spiritual events we shall have an encountering with the presence of God. We must prepare our soul and cleanse our heart for this spiritual encounter with our Lord. John 17:15-17 15) I do not pray that You should take them out of the world, but that You should keep them from evil. 16) They are not of the world, just as I am not of the world. 17) Sanctify them by Your truth. Your word is truth. The Lord Jesus Christ in his prayer, pleaded with God to keep from evil, the ones God gave him. The Lord did not ask God to take them out of this world, but rather, he asked God to protect them from all evil. This world is filled with evil and sin. But even though we are in this world and evilness has multiplied in the world, we as Christians, can still lead a life in holiness and sanctity. How can we maintain ourselves in sanctity in this world filled with evil? By God’s word! We sanctify ourselves by His truth, and His word is truth. We maintain ourselves in sanctity by hearing the word of God and also putting to action the word of God. We can live a life of holiness in this world. The Spirit of the Lord demands from His people sanctity. Exodus 19:9-12 9) And the Lord said to Moses, “Behold, I come to you in the thick cloud, that the people may hear when I speak with you, and believe you forever.” So Moses told the words of the people to the Lord. 10) Then the Lord said to Moses, “Go to the people and consecrate them today and tomorrow, and let them wash their clothes. 11) And let them be ready for the third day. For on the third day the Lord will come down upon Mount Sinai in the sight of all the people. 12) You shall set bounds for the people all around, saying, “Take heed to yourselves that you do not go up to the mountain or touch its base. Whoever touches the mountain shall surely be put to death. In this example, God was going to have an encounter with the people of Israel. The Lord was going to manifest Himself to the people of God. And God demanded the people of Israel to prepare themselves for this glorious encounter. God told Moses to prepare the people of Israel, to consecrate them and to have them wash their clothes. God demanded sanctity from the people of Israel. Preparation was necessary and demanded by God. The people of Israel were going to be witness of the presence of God. God saw the situation of Israel and saw many were unclean and unworldy. That is why He demanded a holy preparation from them. God demanded sanctification. The people of Israel were not celebrating a feast or celebration, but in this instance, God was going to come near the people of Israel. God was going to manifest himself. A great moment was drawing near. Hebrews 12:18-24 18) For you have not come to the mountain that may be touched and that burned with fire, and to the blackness and darkness and tempest, 19) and the sound of a trumpet and the voice of words, so that those who heard it begged that the word should not be spoken to them anymore. 20) For they could not endure what was commanded: “And if so much as a beast touches the mountain, it shall be stoned or shot with an arrow.” 21) And so terrifying was the sight that Moses said, “I am exceedingly afraid and trembling.” 22) But you have come to Mount Zion and to the city of the living God, the heavenly Jerusalem, to an innumberable company of angels, 23) to the assembly of the firstborn who are registered in heaven, to God the Judge of all, to the spirits of just men made perfect, 24) to Jesus the Mediator of the new covenant, and to the sprinkled blood that speaks better things than that of Abel. The people of God, in these day, enjoy and experience the things that are true. The blessings that we receive are far more greater than that of the times of Israel. If even in those times, God demanded from His people a preparation and a sanctification. And those times were only a sketch, an outline, a shadow of what is real and sublime. Now in these times of grace and truth, even more so, God demands from us a spiritual preparation and sanctification. We should prepare ourselves with much more interest and devotion to participate and enjoy the spiritual encountering with the presence of God. God is not going to come and manifest Himself in a mountain. No! God is going to manifest himself and make his presence known in our hearts. What a great blessing!! That is why we must cleanse our hearts and souls and wash our spiritual garments through the His word of truth. 1st Peter 1:14-17 14) as obedient children, not conforming yourselves to the former lusts, as in your ignorance; 15) but as He who called you is holy, you also be holy in all your way of living, 16) because it is written, “Be holy, for I am holy.” 17) And if you call on the Father, who without partiality judges according to each one’s work, conduct yourselves throughout the time of your stay here in fearful reverence. The obedient children do not conform themselves to the worldly desires and lusts as we did while we were in ignorance in time’s past. No. They Lord brought us out of from the evil currents of the world and now we lead a life of sanctity. We should always strive to live in holiness. Because God, who called us from the world, is holy; we must also be holy in all our way of living. We must separate from all evilness and all that lead us to ungodliness. All throughout our lives we must be obedient children, living our life in holiness. But we emphasize and remind ourselves to live in holiness in these days. They are days of revivals in which the Spirit of God will descend and dwell in the hearts of our brethren who have yet to receive this gift from God. We must purify our hearts and cleanse our hearts from impurities. How have I lived my life, thus far? Have I lived my life obeying the word of God? Our manner of speaking, our way of dressing, our way of behaving in this world; have they been according to God’s law? Have I been a disobedient child? Ephesians 2:1-3 1)And you He made alive, who were dead in trespasses and sins, 2) in which you once walked according to the course of this world, according to the prince of the power of the air, the spirit who now works in the sons of disobedience, 3) among whom also we all once conducted ourselves in the lusts of our flesh, fulfilling the desires of the flesh and of the mind, and were by nature children of wrath, just as the others. We were once sons of disobedience, living our lifes in trespasses and sins. We once walked according to the course of this world, conducting ourselves in the lusts of our flesh, fulfilling the desires of the flesh and mind. But now by the grace of God, we must be obedient children. Our Father in Heaven is holy; so we as His children, must be holy. We followed and participated in the worldly entertainments and our life was not in holiness. If we still partake in the worldly entertaiments, the lusts and desires of the flesh, we cannot lead a life of holiness. That is why we must turn away from the evil in this world. 22) that you put off, concerning your former conduct, the old man which grows corrupt according to the deceitful lusts, 23) and be renewed in the spirit of your mind, 24) and that you put on the new man which was created according to God, in true righteousness and holiness. 30) And do not grieve the Holy Spirit of God, by whom you were sealed for the day of redemption. The people of God should not walk as the gentiles, in the vanity of their mind as if we were blind and alienated from the presence of God. We once were blind and in ignorance. But now by God’s grace, our minds have been enlightened by the brilliance of the gospel of Jesus Christ that we have received through a man of God. We must leave the old man which was in corruption according to the deceitful lusts. Now we must live and be renewed in the spirit of our minds, and put on the new man which was created according to God, in true righteousness and holiness. In our spiritual preparation, we must continue to live all our life in holiness. We are going to have an encounter with the Spirit of the Lord. During the revivals, our brothers that have not yet received the Holy Spirit, are going to ask it from God through our Lord Jesus Christ. And God will review their hearts and lives. All brethren who have already received this blessing, will once again revive that fire in their hearts. And if by our carelessness we saddened the Holy spirit in our hearts by our impure conduct, then we will seek to revive that fire of the Holy Spirit and live all our life in holiness. James 4:8-10 8) Draw near to God and He will draw near to you. Cleanse your hands, you sinners; and purify your hearts, you double-minded. 9) Lament and mourn and weep! Let your laughter be turned to mourning and your joy to gloom. 10) Humble yourselves in the sight of the Lord, and He will lift you up. In these day of preparation for the revivals and the Holy Supper, we must seek the Lord. We must draw near to him. If God sees we are seeking Him, He will come close to us. And in our brethren who have not received the blessing of the Holy Spirit, God will not only draw near to them, but God will make a dwelling in their hearts. A spiritual dwelling where the Spirit of the Lord dwells and will guide them to all righteousness and truth. But first, we must cleanse our hands and purify our hearts. Stay away from the worldly entertaiments such as listening to mundane songs. We must stay away from watching lustful movies and all movies that have obscenities. We must stay away from the evil practice of gossiping. All these things are done in this world. But we are not of this world. Our home is with God and with our Lord Jesus Christ in heavenly glory. While we are pilgrims in this world, we can live our life in holiness and purity. We must also have a humble and contrite heart before the presence of God. If we humble ourselves, God will lift us up and bless us.